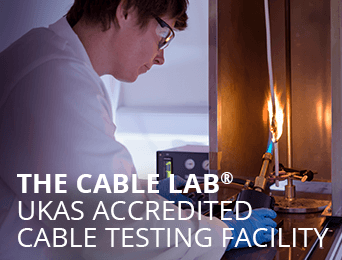 Veriflex® is Eland Cables' range of precision automation cables, BSI KitemarkTM tested for quality and compliance in The Cable Lab®. Cables for control and fieldbus applications are available from stock for next-day delivery with an extended product warranty. Veriflex®, verified by The Cable Lab, is the cable of choice for quality-conscious organisations. Veriflex cables provide your projects with consistency of product and continuity of supply. They have been BSI Kitemark tested in our UK facility, under our ISO 17025 UKAS accreditation. 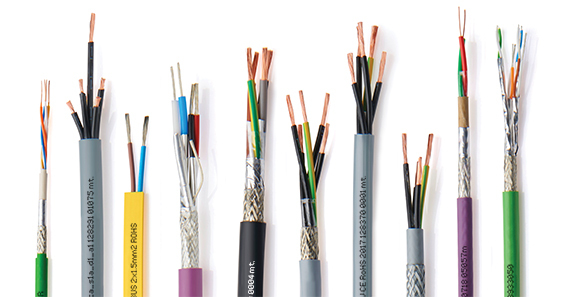 As Eland Cables’ own brand of cables, Veriflex underlines our commitment to excellence, to quality, and to compliance. The Veriflex cable portfolio has been carefully calibrated to deliver the optimum cable for your application - from core configuration to RAL sheathing colour, from dimensional measurements to conductor lay. With this precision and accuracy of supply, the Veriflex range is calibrated to match seamlessly with the market-leading range of premium cable glands. With these defined parameters strictly adhered to, it minimises onsite termination challenges from ill-fitting cable accessories, saving valuable time and money. In an industry first, Veriflex Cables are BSI Kitemark tested. It's "a new benchmark in cable compliance" according to the British Standards Institute. The BSI Cable Batch Verification Kitemark means cables are tested to an unprecedented level. Each component layer is tested against relevant British and European standards to ensure compliance. That means everything from the conductor resistance at the centre of the cable, through to the tensile and elongation measurements of the outer sheath are subject to stringent tests. Testing must be within a UKAS accredited laboratory, and is under BSI's rigorous surveillance programme. Specifying and selecting a cable with an extended warranty is both good practice and good due diligence for any project. Knowing this warranty comes at no extra cost, is an added bonus. 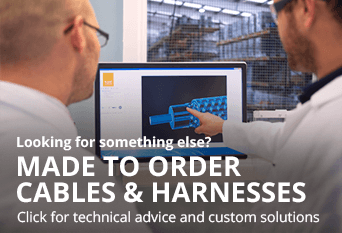 Held in stock in our UK distribution centre for same-day despatch, it eliminates the current delay in accessing automation cables for your project. This new innovation in cables should become the standard for all automation and process control applications. Veriflex customers in the UK no longer have to wait extended lead times to access European control and fieldbus cables. With our UK stockholding, the Veriflex range can be cut to length and despatched for next-day delivery. European and worldwide logistics are quick and straightforward too, with Veriflex cables delivered to most of mainland Europe within 48-72 hours. Complementing the Veriflex range is our extended automation cable portfolio, providing a broad selection of industry-specific cables to support any installation or application requirement. These cables are available either from stock or on minimal lead-times (4-6 days) to match even demanding project timelines. Where a Veriflex cable is not suitable, we can assist in specifying the correct cable for your individual needs. Our extended automation range remains subject to our industry-leading QA protocols to deliver quality and compliance on every project. We take pride in the quality and precision of our Veriflex cable range and so recommend using premium quality cable glands for termination - your application deserves quality from end-to-end. The Veriflex range has been carefully calibrated to match gland sizes, allowing the clear specification of accessories and the confidence that they will join seamlessly when installed onsite.